Solulingua is a global translation and interpretation company that took over MUDAPROD. 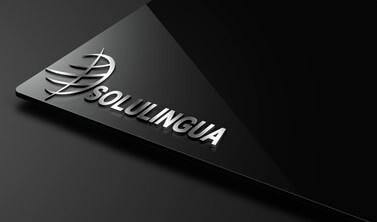 With over seven years’ experience, Solulingua provides the best language services to its clients the world over. With a pool of more than a hundred translators and interpreters of different languages, and corporate services ranging from translation and interpretation to transcription, content writing and web designing and hosting and marketing amongst others, Solulingua is a one-stop shop for multinationals that seek to expand to different parts of the world. Solulingua combines high quality output, fast delivery and best rates and proactive client-provider communication to make you happy with every single part of your project. Solulingua is not just a language service provider. It is an efficient team of dedicated professionals working as a family. Meet our family members! Moudachirou Gbadamassi is a conference interpreter, translator and leadership coach. Mr. Solution would be a good surname for him. His favourite activity is problem solving. Ayouba Boukari is a seasoned translator and project manager. Interacting with clients to find the solution to their needs is his favourite activity. Managing hundreds of freelancers is not an easy task but that’s where Rachad Ayasse finds his pleasure: identifying talents and interacting with them. No one comes to Solulingua without going through this courteous and welcoming gentleman named Yaya. Amina a.k.a The Magic Fingers is one of Solulingua’s data entry specialist. Amina is second to none at Solulingua as regards typing speed and quality. Edem Glitse is a trained Conference Interpreter and a Translator with Finance and Accounting backgrounds. Edem is Solulingua’s top freelancers in finance and oil & gas subjects. He is also the Secretary General for the Ghana Association of Translators and Interpreters (GATI). Elie Boffouo is a professional and passionate translator with a Master’s degree (ISTI-Cameroon). He acquired extensive experience working for GTG Partners (Accra), and BOAD and EBID (Lome). Elie Boffouo is now freelancing for big organisations and businesses, with Solulingua on top. In fact, Elie is one of Solulingua’s best subtitlers! Kokou Babatounde Fabrice Paraiso is a bilingual professional, passionate about arts. He discovered radio presentation in 2009 and made it his passion. Then he realized he has another talent: voice-over art. He’s now achieved unanimous recognition as a top voice-over artist, radio presenter and MC. His voice has won Solulingua many clients. Mactar is a trilingual translator/interpreter with over 15 years of experience. He works as a consultant with several international organizations and firms such as SOLULINGUA, the African Union, the Ministry of Foreign Affairs of Senegal, etc. Bourema Zerbo is a Burkinabe-Togolese freelancer. He is a translator and a young graduate from the School of interpretation of Legon. He lives in Lomé and his hobbies are walking, reading and research. Bourema ably covers Solulingua clients meetings. Timothy Kwakuvi Wodokpoe holds a BA in Translation and an MA in Conference Interpreting from the School of Translators and the University of Legon, Ghana, respectively. He is a senior translator (FRA/ENG) with over seven years of experience in the field. Timothy is one of the best consultants of Solulingua. Timothy John is a senior interpreter/translator with a Master’s Degree in conference interpreting. He got employed into an international NGO called the African Tobacco Control Regional Initiative ATCRI based in Lagos, as the Regional Language Coordinator. Timothy is happily married, and a father of three. He is a freelancer Solulingua is proud of. Dr. Assani is an eminent lecturer, Arabist and French/Arabic interpreter. Whenever the opportunity arises, he offers his 40+ years of experience in language services to Solulingua clients. Mr SAMPO is a Burkinabé interpreter trained by groups of PAMCIT program interpreters from the European parliament, the European Commission, the ACP and Ecowas (during internships). Mr. Sampo is a capable language consultant with Solulingua.